I got a AM Infinity Slide and a metal outer barrel in my TM hi-capa 5.1 and also got a stronger recoil spring. 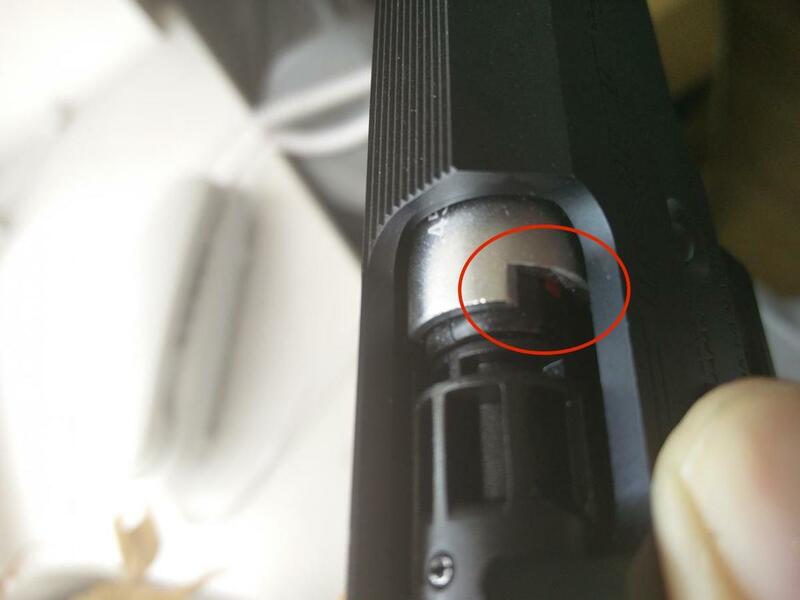 I noticed that the slide this the outer barrel and you can actually see where it hits since there is a mark and the gun has only been through 6 or 7 mags. Is this expected? 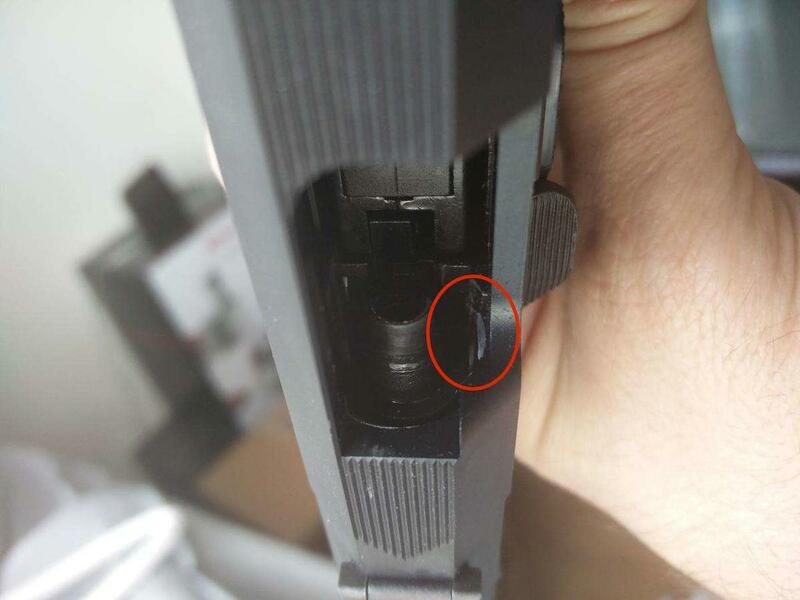 I was thinking about trying the weaker spring that comes with the TM hi-capa but with the heavier slide the cycle could be slower and even the slide could hit stronger in the back instead of the front as right now. I'll leave some pictures on how you see the mark in the slide. 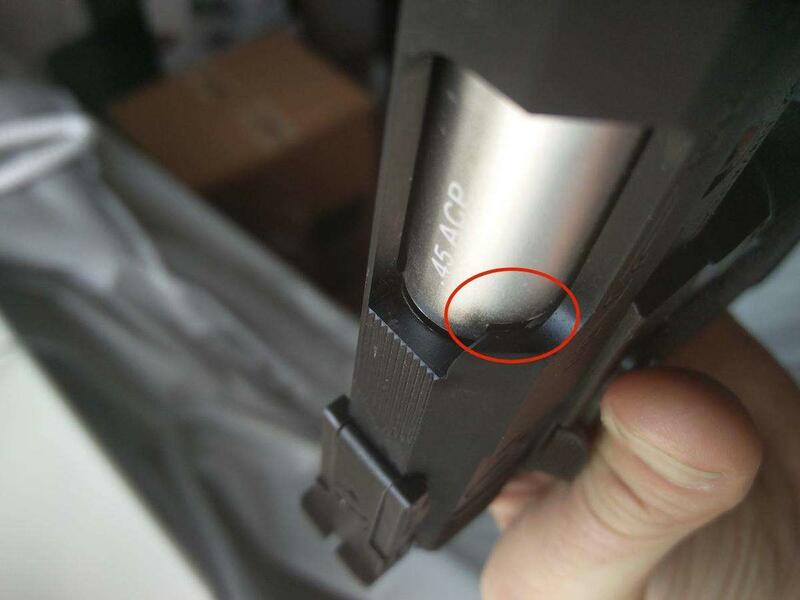 I can clearly see that the slide hits the outer barrel in that zone. Should I take off the slide and disassemble the part for more pictures please let me knowand I'll do it. I am afraid to take this gun to a game and damage the parts to a point of having to replace them. Is there a way to prevent this from happening? Should I change to the weaker spring? Is there a way of making the slide stop against something more durable than the outer barrel?